Being a small doll (15 cm tall) I have to warn you that this is not going to be an easy task. Small things are harder to create than you think. 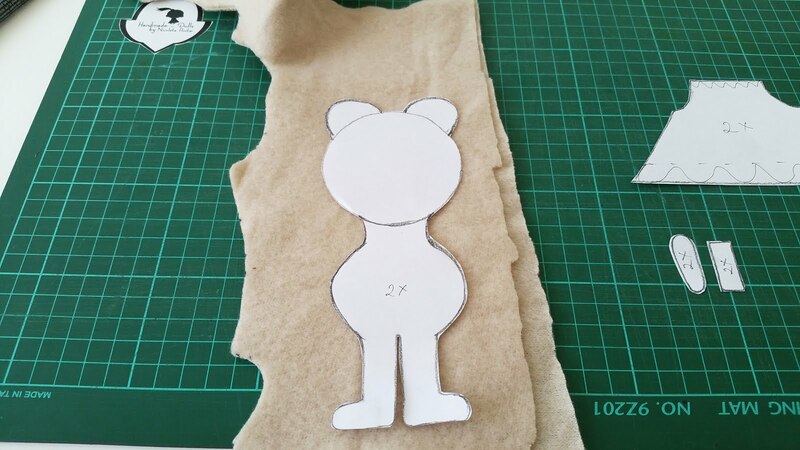 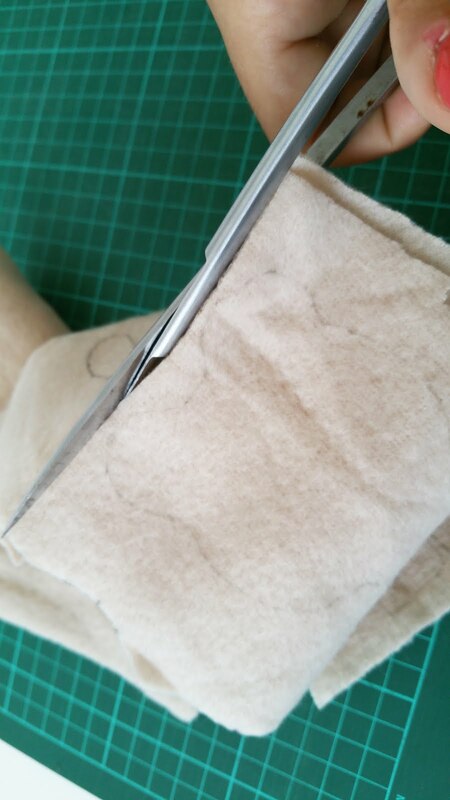 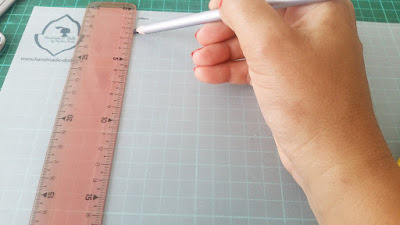 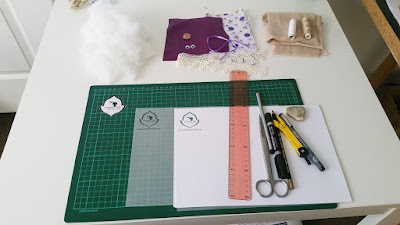 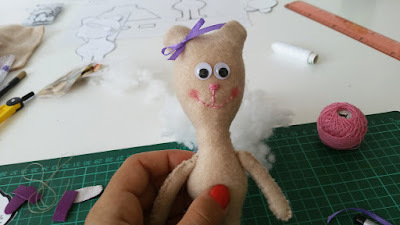 On the top of the first circle draw two semicircles (1 cm high) which are going to be the ears of the Teddy Bear. 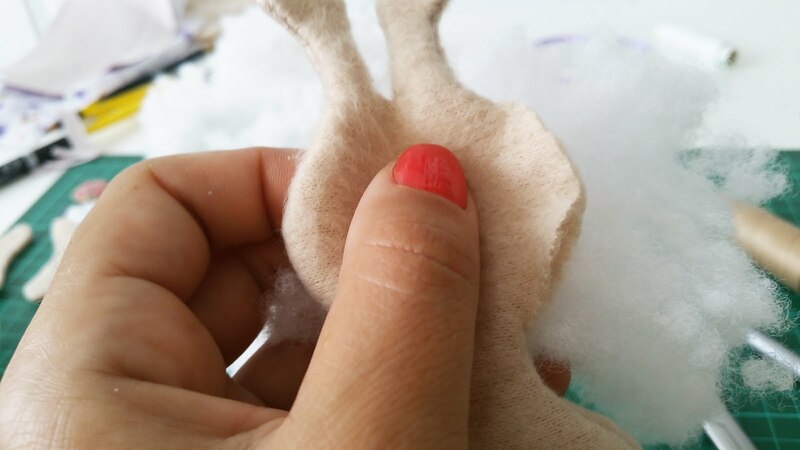 For the hands draw a banana similar shape (5 cm high - 1 cm wide) ( see the picture above). 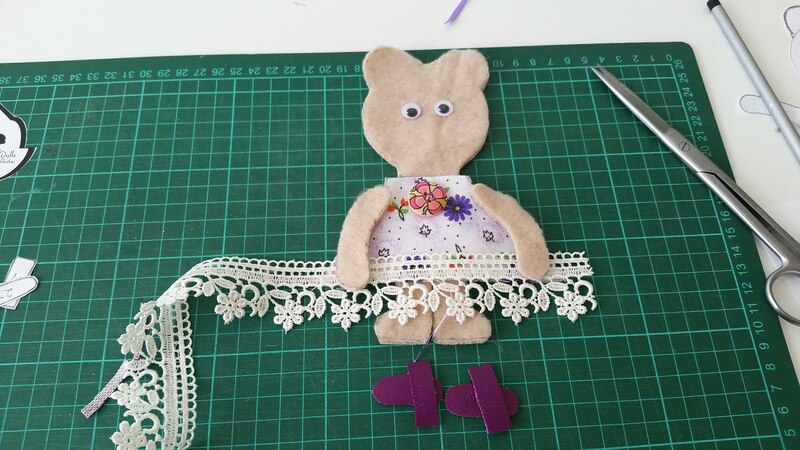 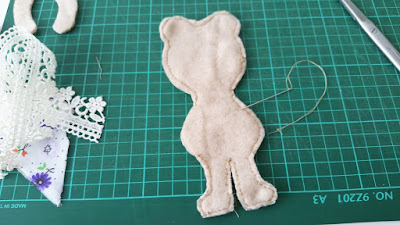 The dress has a trapeze shape (5 cm high, 4 cm small base, 12 cm big base). 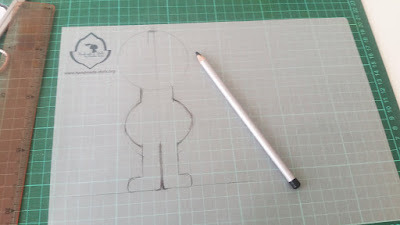 At the top, in the left and right side, draw two small semicircular shapes, as you can see in the picture above. 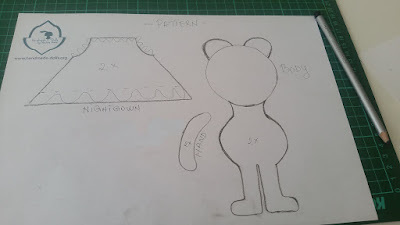 This is your pattern. 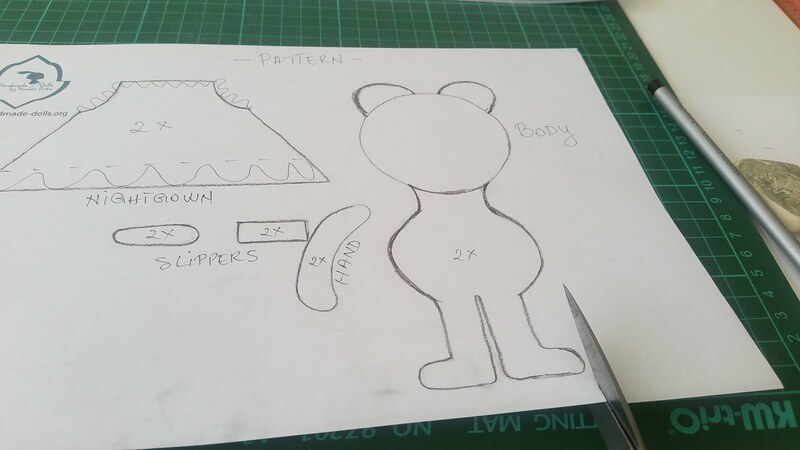 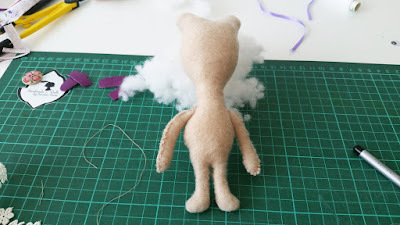 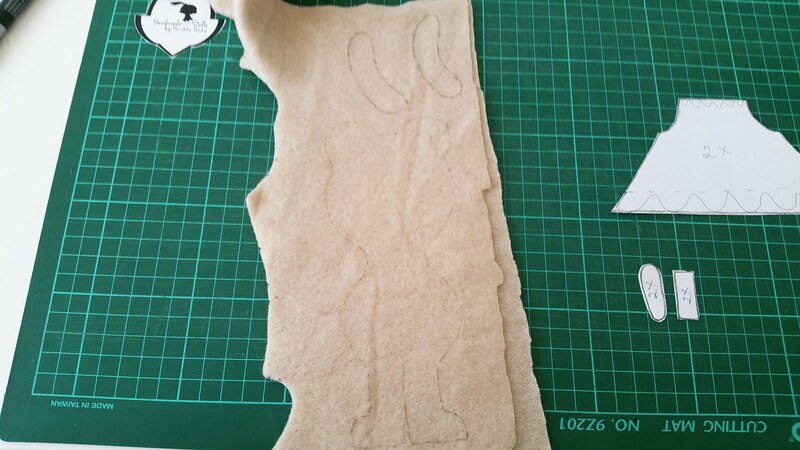 Now, using the scissors, cut all the shapes you drew, in order to start working on the doll. 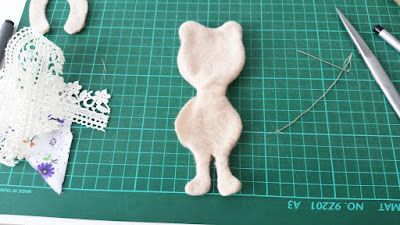 I know it looks strange, but be patient, now it starts the funny part. 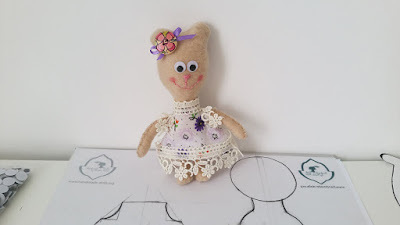 Now start sewing the two parts of the dress one to another ( I suggest you to cut a straight line in the back side of the gown, in order to be able to dress the doll after the gown is sewed). 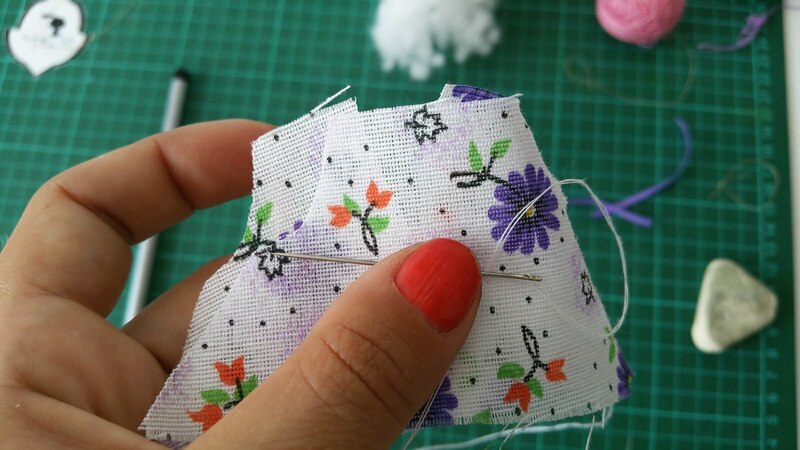 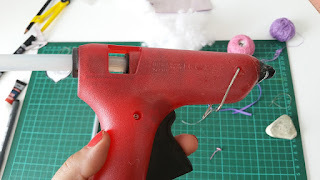 In the end, using the glue gun, attach some lace at the bottom of the dress, as well as at the neck and at the arms. That's it! 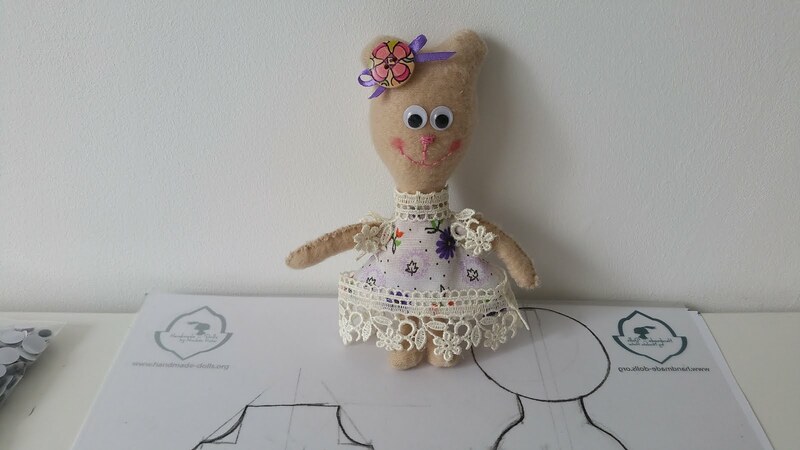 You have created your first doll. Advice: Don't let children under 6 years old to play with it! I create dolls with love and passion. 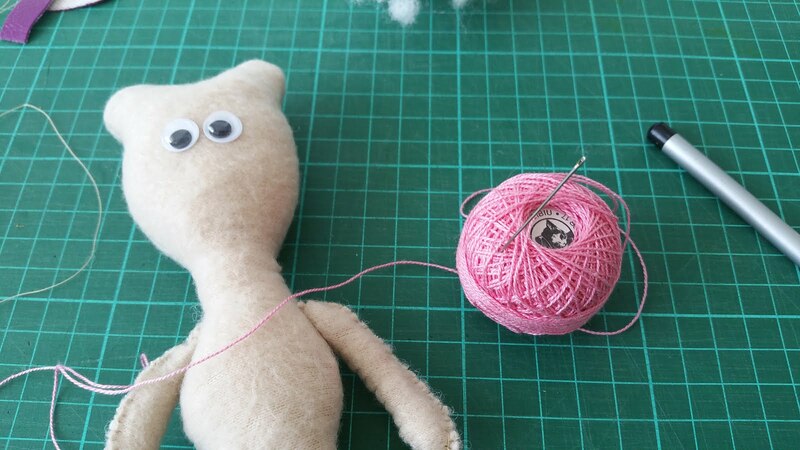 For me is similar to an anti stress therapy. Being handcrafted they have a special ability - to put you in a good mood, to make you smile, to make you feel the human touch in them, in a positive way, through their imperfections, expressiveness, strong and unique charm and personality.